It was said a few days ago during a press conference for an sponsorship deal and now it’s official. Coach Zeljko Obradovic and also the general manager Maurizio Gherardini have extended their contracts with Fenerbahce for three more seasons, until the summer of 2020. Both of them arrived in the club at the summer of 2013 and since then Fenerbahce became a Euroleague contender, while also winning two Turkish BSL league titles. There will be a “singing ceremony” on Tuesday at the “Fenerbahçe Şükrü Saracoğlu Sports Complex”, the football stadium of the team. 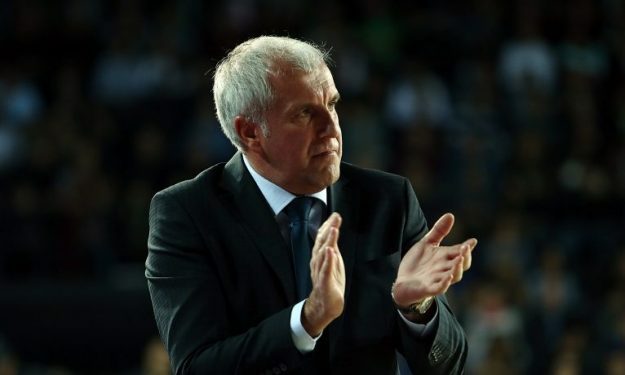 Obradovic, who has won already 8 Euroleague titles as a coach, is widely accepted as the best ever coach in European basketball’s history and without question he is by far the most successful when you consider the titles he has won on every level in every country he had worked in the past. He won the Euroleague with Partizan, Joventut, Real Madrid and Panathinaikos, the Greek club where he stayed for more than a decade.